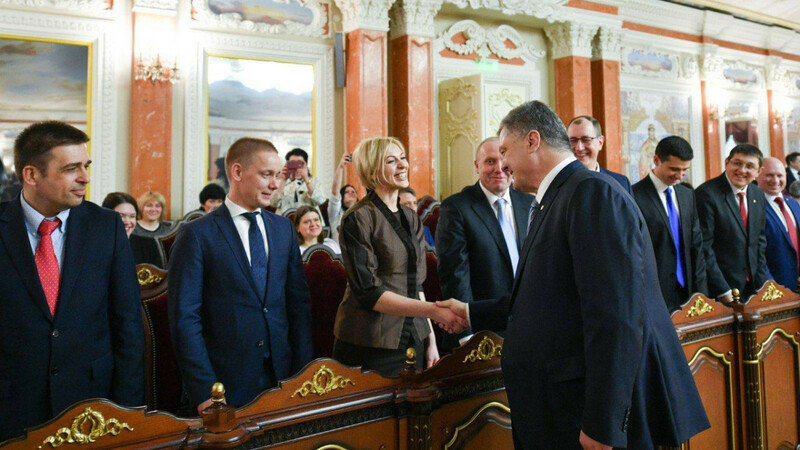 On 11 April President Poroshenko signed the decrees for appointment of 38 judges of the High Anti-Corruption Court and the HACC Appeal Chamber. After that, the judges pledged their allegiance to the people of Ukraine. This means that the full composition of the Anti-Corruption Court has now been formed, and the court is ready to go into operation. For the HACC to start functioning, the judges must hold a meeting, select the head of the court, recruit administrative personnel and assistant judges. A number of technical issues have to be resolved by various public authorities. The competition to the Anti-Corruption Court took about 8 months, with the Public Council of International Experts playing a crucial role. The PCIE verified the integrity of 113 applicants. Blocking 42 candidates of questionable integrity, the experts only proved that they were both professional and uncompromising in this role. Transparency International Ukraine took it upon itself to support formation and establishment of the HACC. We systematically advocated the idea of the HACC having jurisdiction over cases investigated by the NABU and the SAPO. The organization took a resolute stance to ensure the crucial role of international experts in the judge selection process. Together with other CSOs and international partners, we managed to achieve the adoption of the Law of Ukraine “On the High Anti-Corruption Court” in the version consistent with the interests of Ukrainian people. Together with Anti-Corruption Action Center, DEJURE Foundation and AutoMaidan, we have also analyzed the applicants’ history of judicial decisions, property, business and political ties, and have come up with the list of 55 unworthy candidates, who would not be recommended for appointment by civil society. Only 7 applicants from this list made it to appointment. They are Inna Bilous, Andrii Bitsiuk, Volodymyr Voronko, Viktor Maslov, Oksana Oliinyk, Valeriia Chorna and Serhii Moisak.